How do you avoid getting on the dreaded blacklist? 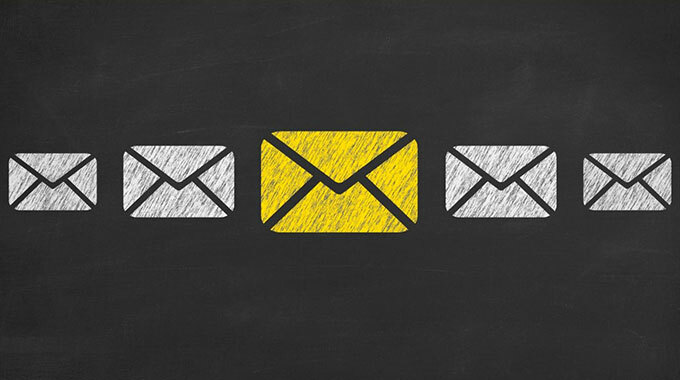 There’s no stop-gap solution, but columnist Scott Heimes outlines some best practices to help your emails reach inboxes. Email marketers inevitably risk ending up on blacklists during email campaigns. But there are ways to reduce your chances and avoid the dreaded blacklist to ensure your mail reaches the inbox. To start, it’s important to understand how blacklists work. Most blacklists use a so-called “spam trap,” email addresses that are used to identify where the spam mail is coming from, usually an IP address or a domain. If that IP address or domain does not check out, it is blacklisted. Whether it’s IP or domain blacklisting, to reduce your risk of getting blacklisted from the inbox, there are three best practices you should employ: You should confirm opt-ins, practice real-time address validation and apply a “sunset” policy — remove stale recipients — based on engagement. When you send a confirmation email before adding a new recipient to an active mailing list, only valid and engaged recipients will be added to your list. While this practice could potentially decrease the amount of marketing email opt-ins for your list, the number of spam reports and unsubscribes will be reduced, which in the long run improves the ROI (return on investment) on each email sent. By following this protocol, you are completely preventing all types of spam trap email addresses from being added to your list. This practice also will increase your open and click rates, because the recipients on the list are engaged and looking forward to receiving your mail. Another best practice to help avoid ending up on a blacklist is to validate email addresses in real time, or check email addresses at the point of signup. While confirming opt-ins may cause friction in the signup process, checking for validity of the email address and common typos may help reduce that friction, and new signups are likely to react positively to this type of feature. While this validation may include licensing costs from a third-party service, or engineering and technical requirements if you’re building your own verification process, there will be a reduction in common domain typos and instances of fake email addresses, resulting in fewer spam trap email addresses getting through to your list and ending up on a blacklist. Sunsetting is a practice that all email marketers should employ. Keeping unengaged recipients on your mailing list reduces open and click rates and increases spam reports and unsubscribes. You should remove email addresses if that recipient does not open or click a message in a certain period of time, which can vary depending on your industry and sending frequency. While your mailing list size will decrease, your ROI per email sent will increase because you will only be communicating with recently engaged recipients. By sunsetting unengaged recipients, you will improve your sending and brand reputation because you will no longer be sending emails to people who don’t want them. Email blacklists don’t exist to make it harder for email marketers to communicate and engage with recipients. But because there is a lot of spam hitting the inbox, they are necessary. Every brand has its own unique business model and may require different tactics for reducing the risk of ending up on a blacklist. But confirming opt-ins, validating addresses and sunsetting based on engagement are three best practices to help avoid blacklists. However, it’s important to note that these preventative measures do not guarantee your mail won’t be blacklisted; it means your brand is responsibly managing its sending and communicating with its recipients in the most effective and respectful way to ensure readers get the mail they want to receive. By following these best practices, you’ll reduce your risk and better engage with your recipients.